I have been working diligently for months on paintings for a show that I consider one to be of the most important shows in my career yet. 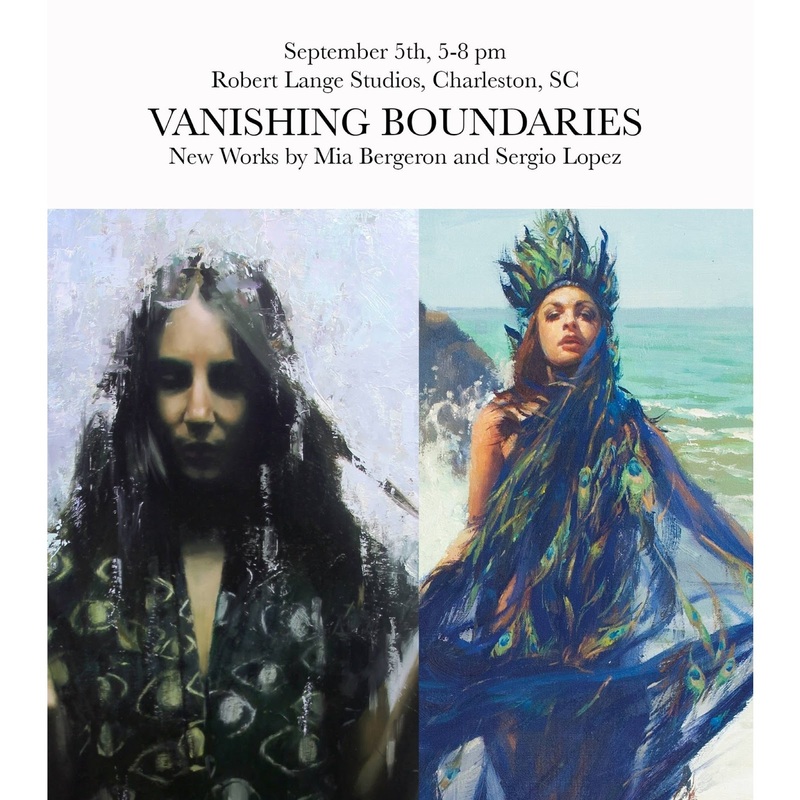 I will be showing alongside Mia Bergeron for a two-person figurative show in Charleston at the Robert Lange Studios gallery. 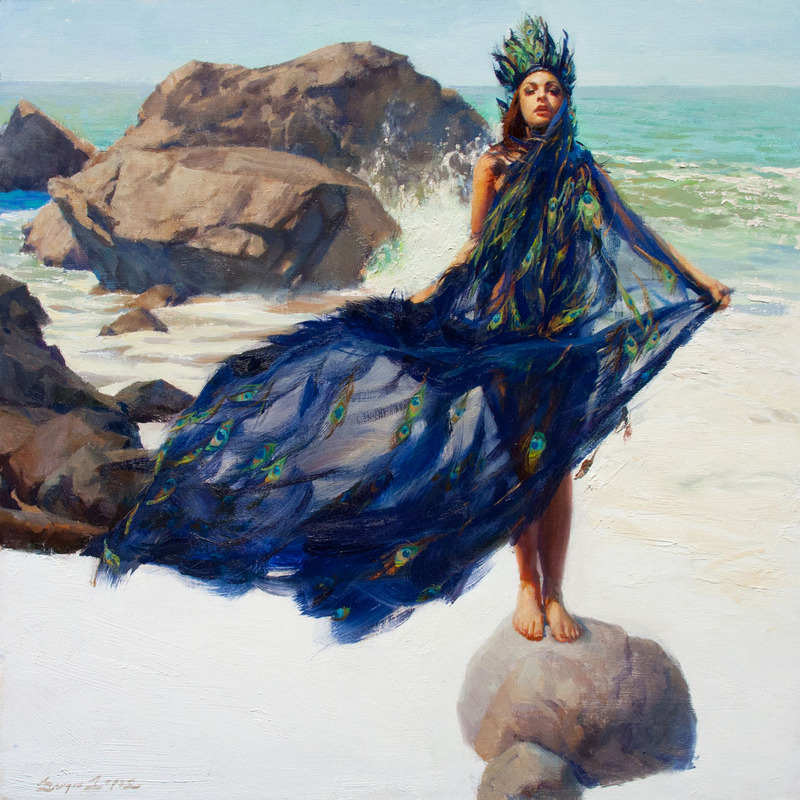 Mia Bergeron is one of my favorite portrait painters out there right now, so to be able to show alongside her (and maybe steal some of her clientele ;) ) is such a huge deal to me. Since so many people have asked me, I thought I'd give the brief story of how I arrived to gallery. I went out to Charleston a couple of years ago. 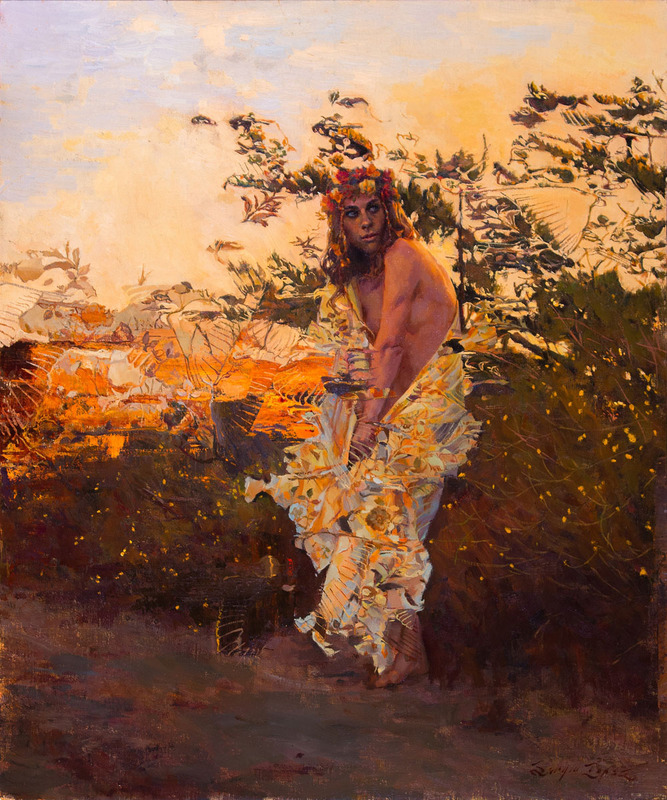 One of the reasons I went was to see a 3-woman show at Robert Lange Studios, of which Mia Bergeron was one of the participants. I chatted with the gallery director at the time, and friended them on Facebook. They started to see my work in their feed, and sent me an email a few months after I visited their gallery. They invited me to send work out, and later on participate in the "North Vs. South" group show. They liked what I sent, and so by the end of the year, they approached Mia and I to be in a two-person show together. Of course I was excited! Imagine, to come out to a gallery you like to see work of an artist you admire, and the gallery takes you in, then the gallery has you show with that same artist you admire! It's one of those pay-offs that being an artist affords you. In addition to some new paintings from previous series, I am debuting a new series I've been working on. The concept is titled "Proud Birds." 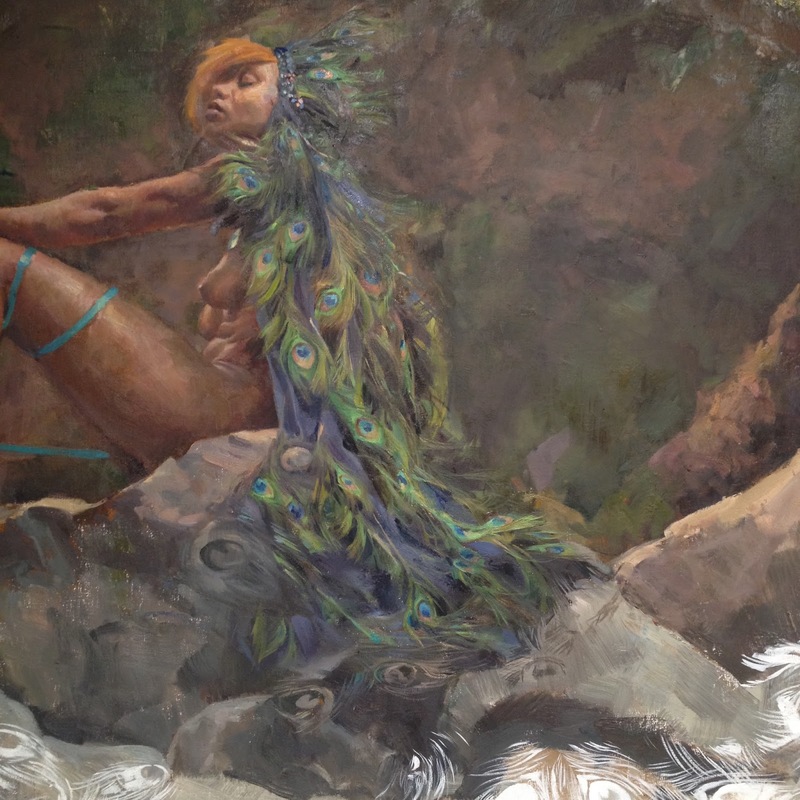 Part of the idea behind the concept (which I get into more detail in the latest American Art Collector magazine) is that I don't believe a painting has to have a deep underlying meaning in it to be considered "high art," and the peacock motif is a reflection of that idea. There are more paintings from this concept that I will slowly reveal after the show opens. For now here are some teasers for the show. 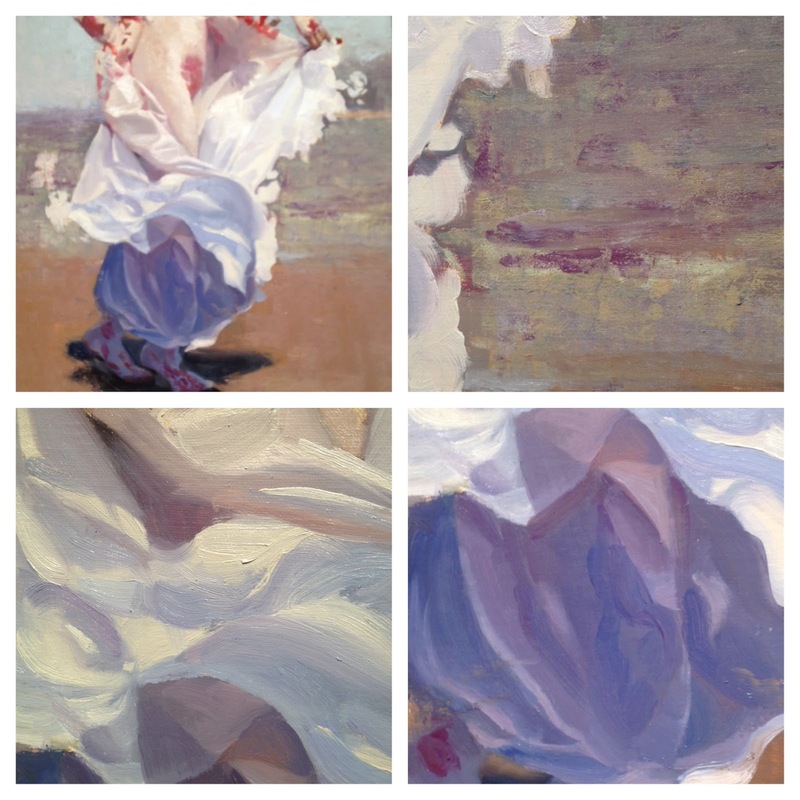 Here are some detail shots of "White Wings," pre-painted pattern. 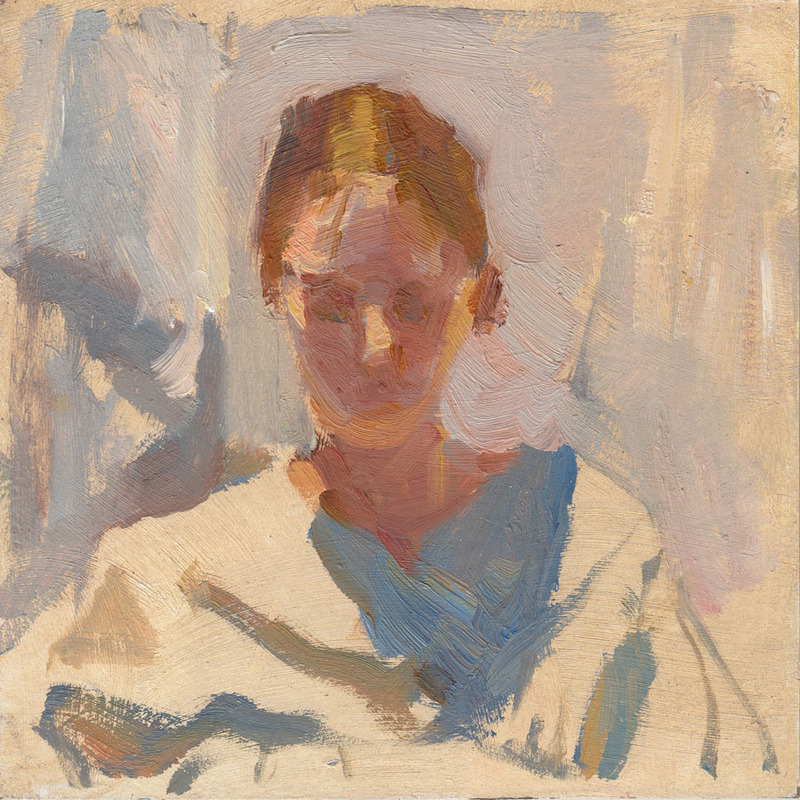 A detail of a painting entitled "Sorrow In Good Light." Be there at the reception to see the entire painting. A crop of a large painting called "Over Your Sheltered Nest." It was also in-progress at the time of this photo being taken. There is one more painting called "Heart In Hiding" that you will just have to be there to see it in person! Here is the relevant information to make sure you don't miss the show. Last week I got to sit in for a couple of days at the "Angels Boot Camp". What is this, you ask? Should I send my bad kids there to learn discipline? Will I lose weight? 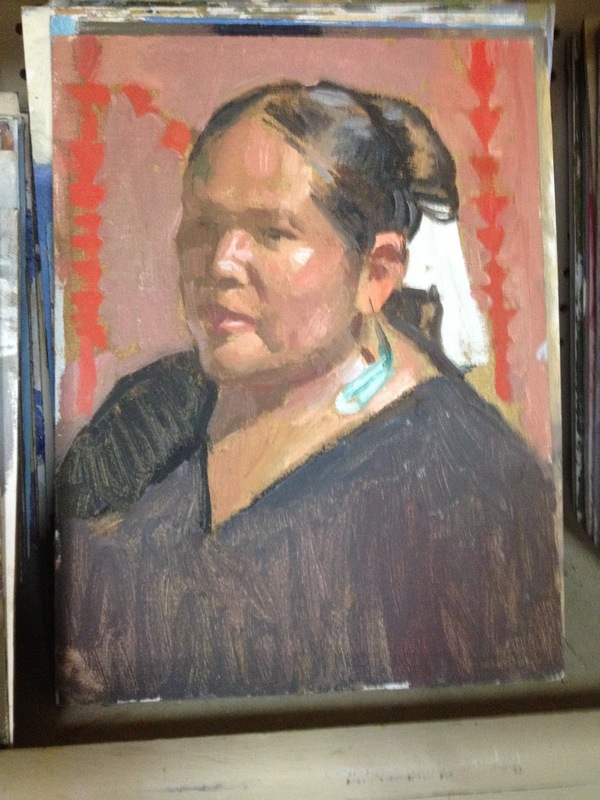 While I can't answer those questions, I can tell you that it is a fairly intense 4-day workshop at Ray and Peggi Kroll Roberts' studio in the Sierra Foothills. 4 different days, with 4 different instructors. The heat was intense, but part of the reason is because of all the friction created with the brushes going across the canvases. 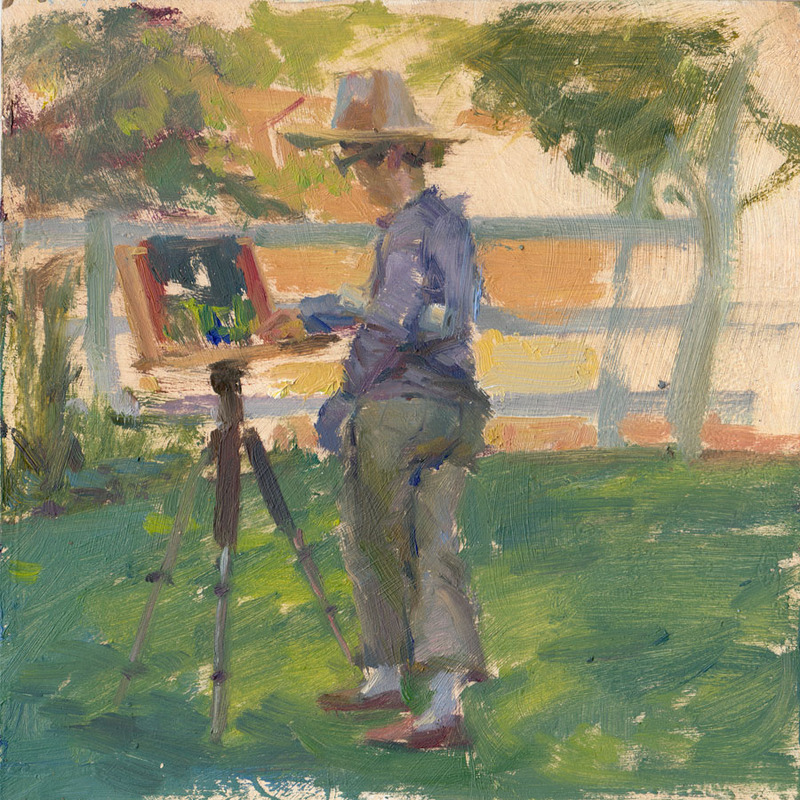 The main lessons that were being taught were learning to see simple compositions and using colors and shapes to effectively convey the observed light in your paintings. 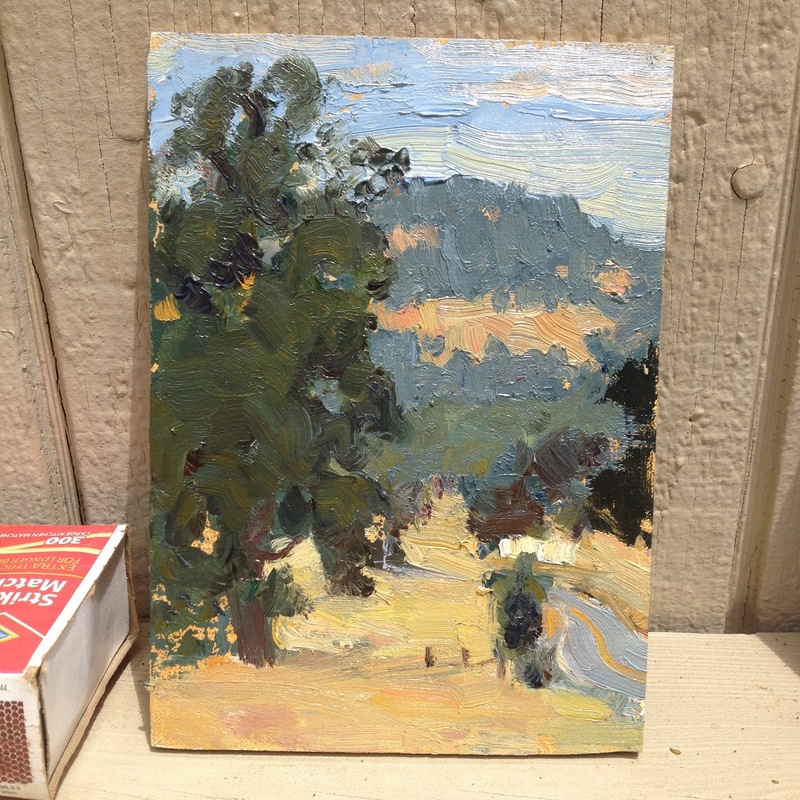 I took Ray's "plein air to studio" workshop in 2011 so it was nice to revisit some of the lessons. I arrived halfway through the first day of the workshop, so I missed the first part of Peggi's teaching which focused on a strong two-value composition. 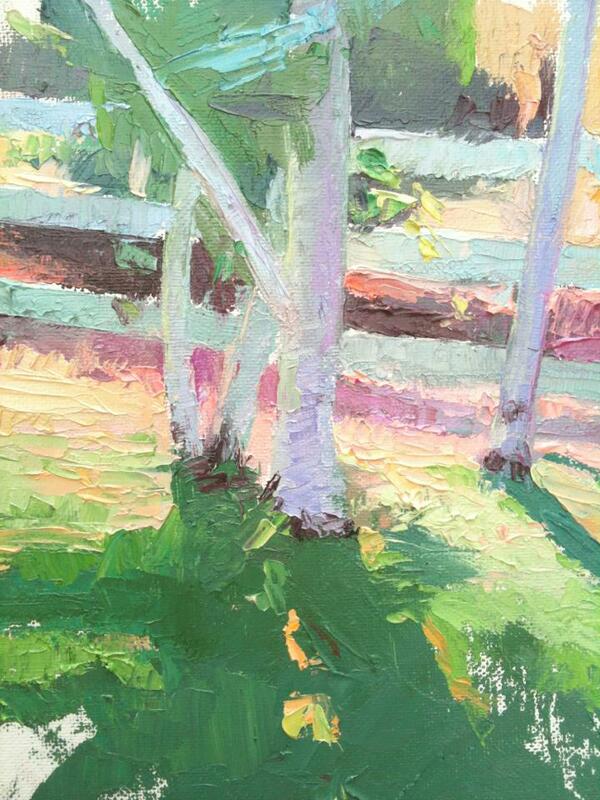 This painting was a 40-minute study done completely with a palette knife. I never use a palette knife exclusively. 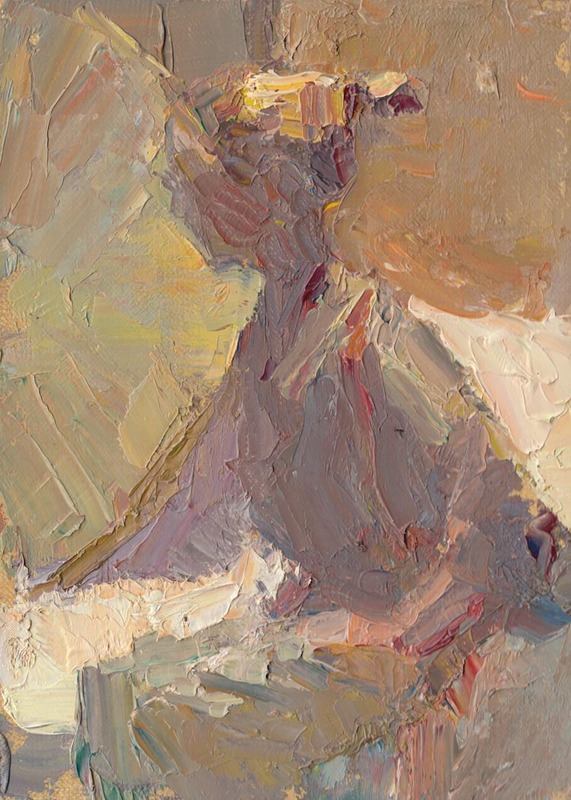 I always reach a point where I want more control than what I can get out of a palette knife. The trade-off is interesting texture in the painting, though. I was still trying to warm up with this painting. Another 40 minute study. I should have taken a picture of Peggi's painting. 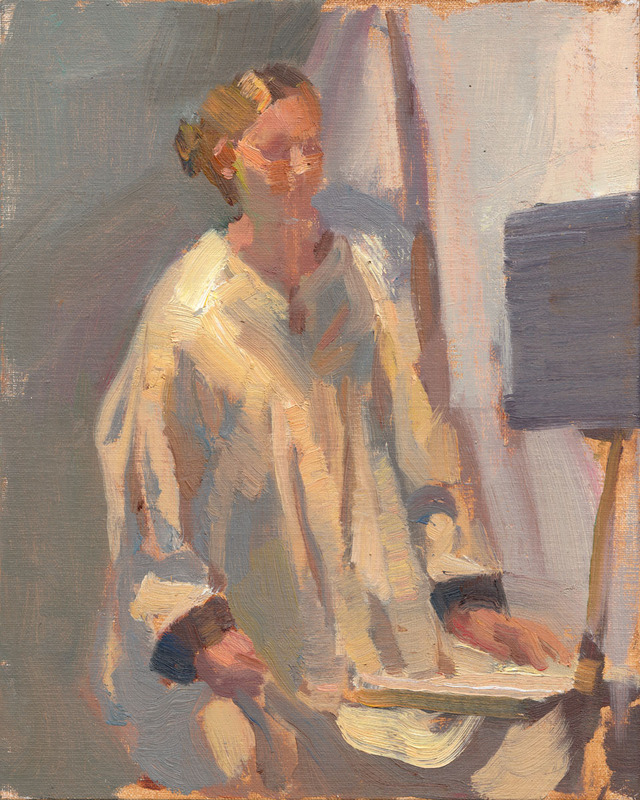 She is so good at simplifying things in her painting and nailing the essence of light and color in a scene. 20-minute head study as Peggi demo'ed. 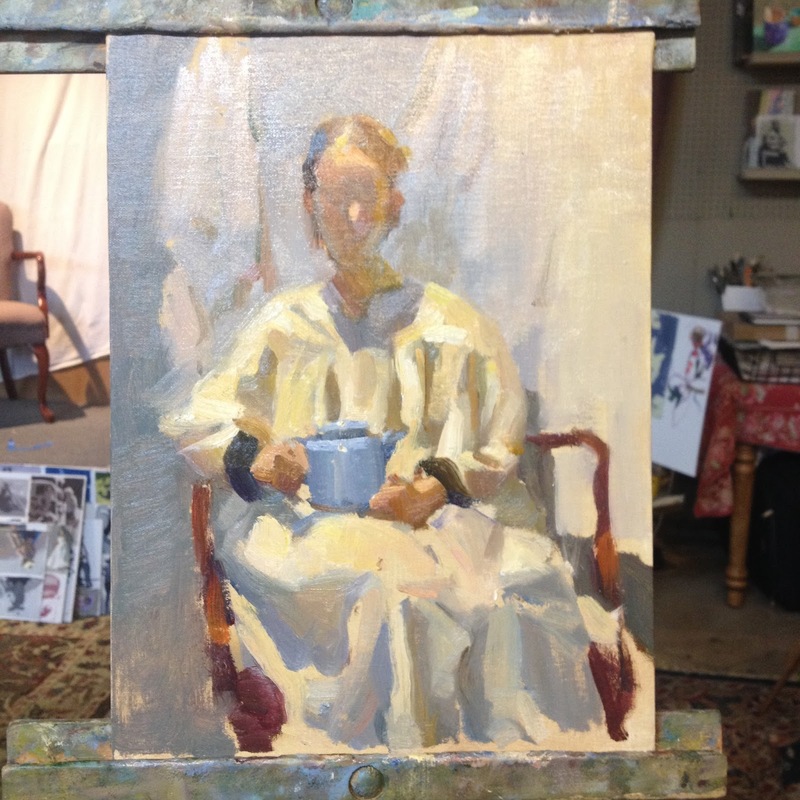 This was a 40-minute study where I was starting to get back into my groove. I can feel how my recent lack of figure painting is affecting my paintings. People liked my teapot though. 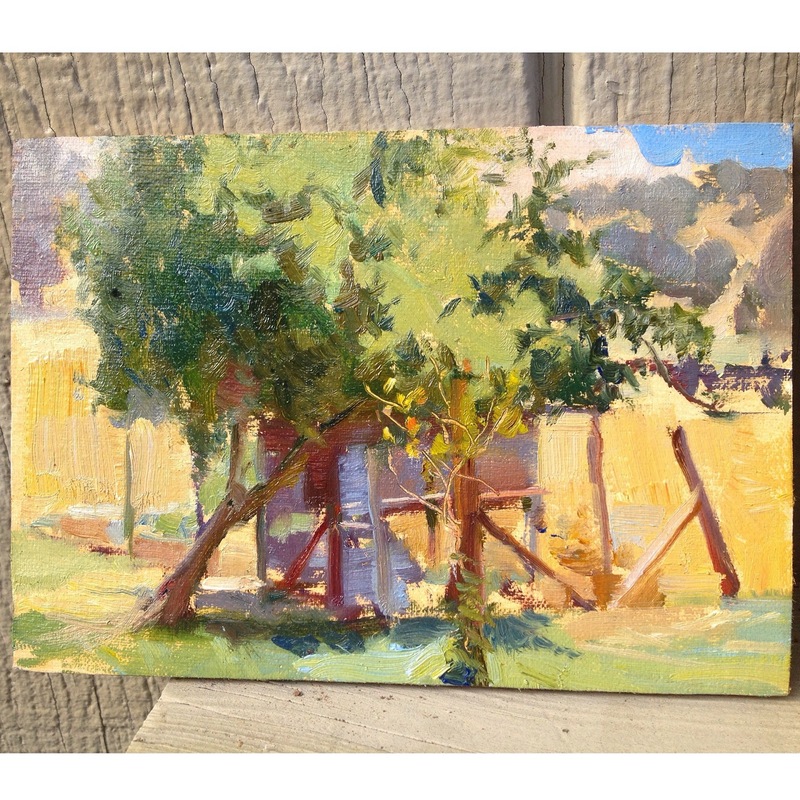 There are so many paintings and studies in their studio. It was fun to rifle through them and marvel at them. 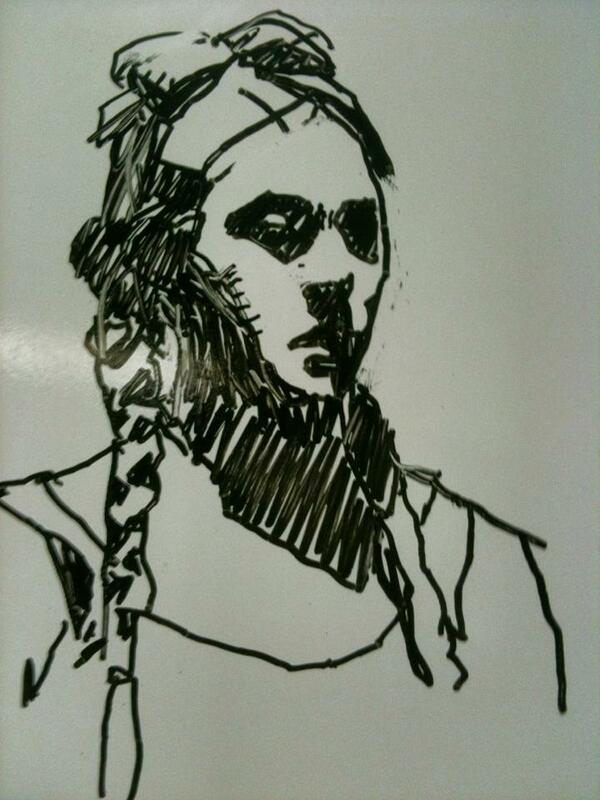 Here is a really cool portrait study that Ray did. 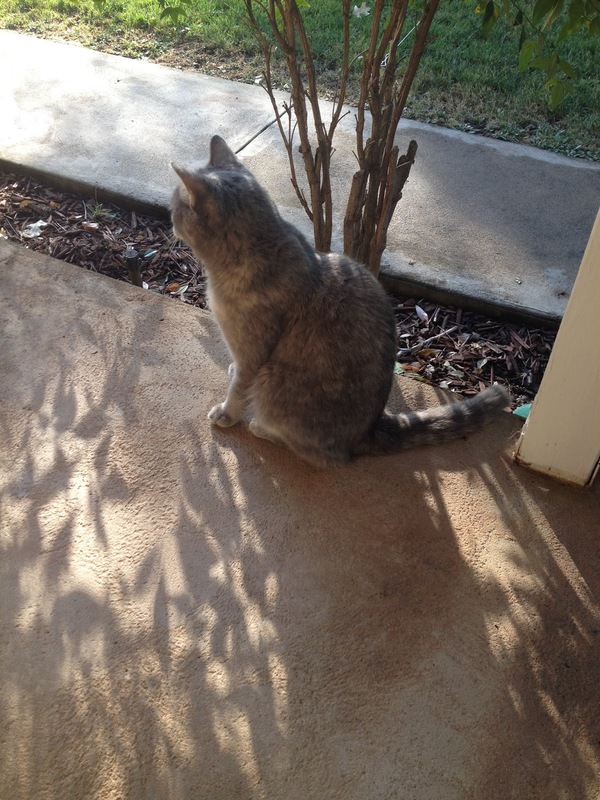 The resident cat! She is 16 years old but as spry as a cat 4 times younger. These were Ray's demos of the morning. He was imparting interesting basic lessons that can benefit anyone who doesn't mind getting back to basics, which is just about anyone. One of them being the "1/3rds, 2/3rds, A Little Bit Rule:" 1/3rds of one value, 2/3rds of another value, and a little bit of a third. It's a good simple rule to keep in mind when designing the light and dark value pattern. This was a painting I did after watching his first demo. Was trying to apply the "1/3rds, 2/3rds, A Little Bit Rule" to this one. Guess what, it must have worked, because I sold it. The day was sort of sunny, sort of overcast, and I couldn't find anything worth painting on the ground. 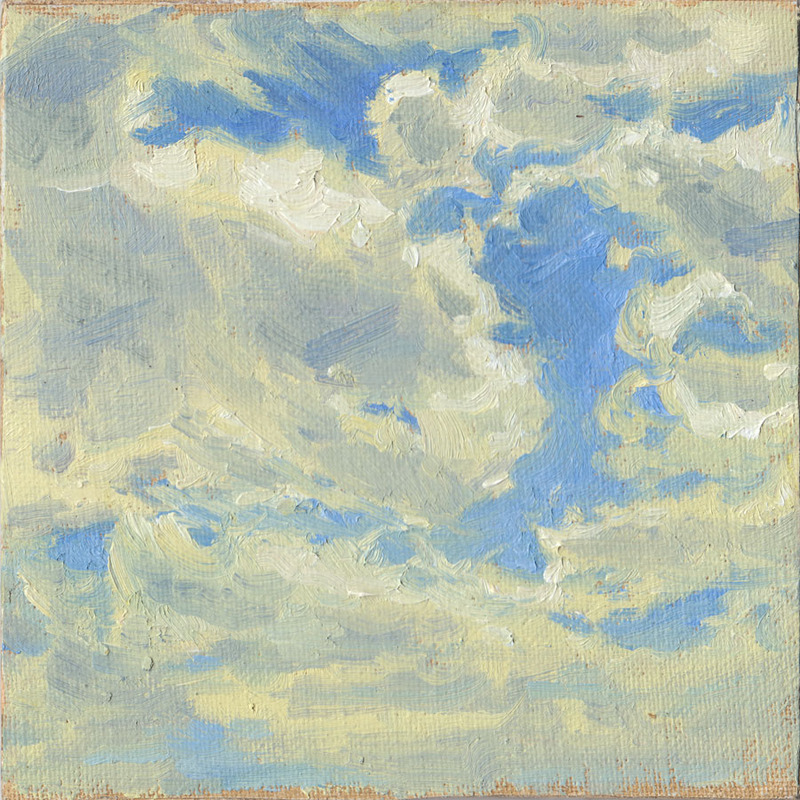 Ray suggested that I try painting the clouds instead. Good idea! Not something I would have thought of doing but I'm glad he suggested it. Ray also had a good critique, which was to be mindful of repetitive shapes. It's very unnatural to have repeating shapes in nature. This touches on the "controlled chaos" principle, a lesson he was also teaching. Ray's afternoon demo! It's interesting to watch them come together. The overall light effect doesn't usually show up until late into the painting. You just have to have faith in your decisions and be patient as you're painting. 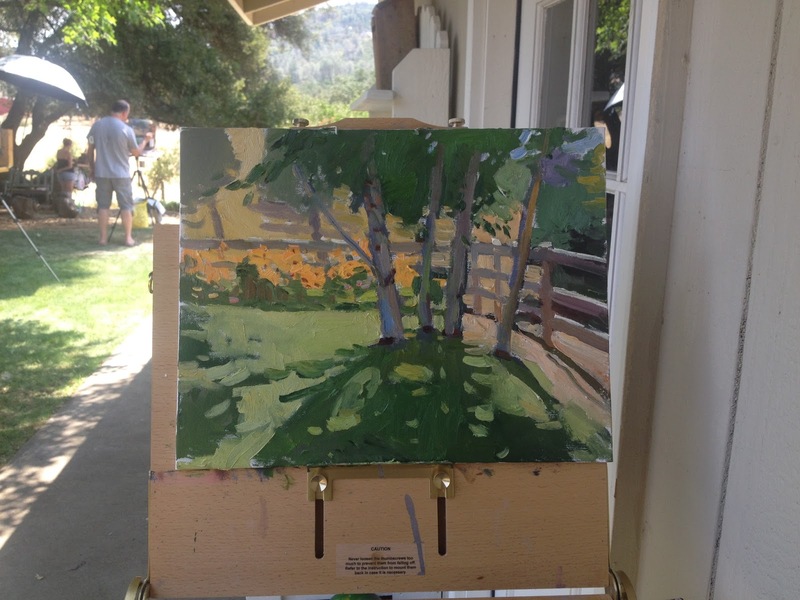 Another small lesson he shared was a trick for keeping pure color clean where it's needed (like in the flowers here) by laying down the pure color first and then adding the dark shapes around and into the light pure color. This was a painting that I got a lot of kudos on as I was painting it. It's their old chicken coop. I ended up selling this one as well. 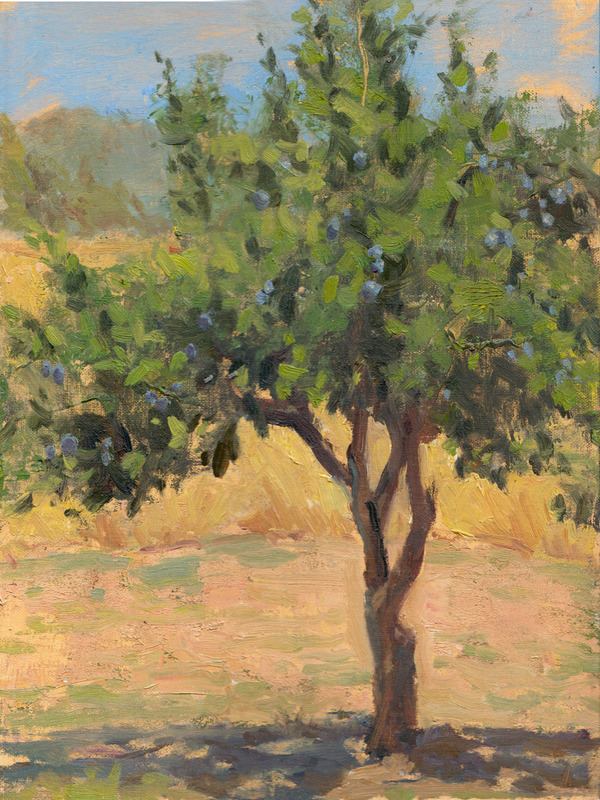 My final painting of the day was of their plum tree. I wanted to do a close-up a bundle of fruit on the tree but the sun was way too hot to set up without much shade around it. This was another exercise in texture. Here is a photo of Carole doing her demo in the morning. Photo courtesy of Al Tofanelli. 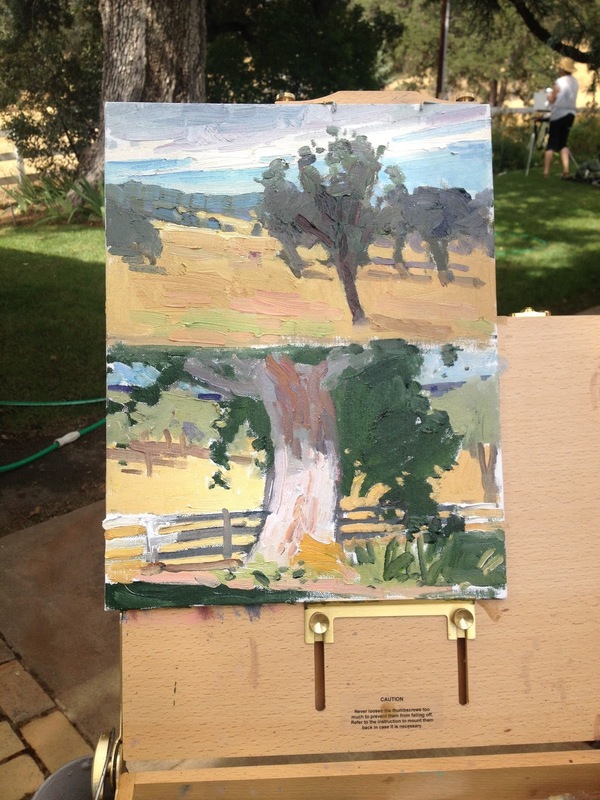 This was a painting I did after being inspired by Carole's demo. I adopted her technique of layering complementary colors with a palette knife. I finished with a brush to refine things that I couldn't quite finesse with the knife. Peggi's stance! Her signature twist. I had to go back home at this point, but not before snagging a Ray Roberts to add to my collection! What a beauty! I wasn't able to get any of my own shots from the 4th day since I wasn't there, but here are some photos courtesy of Al Tofanelli. 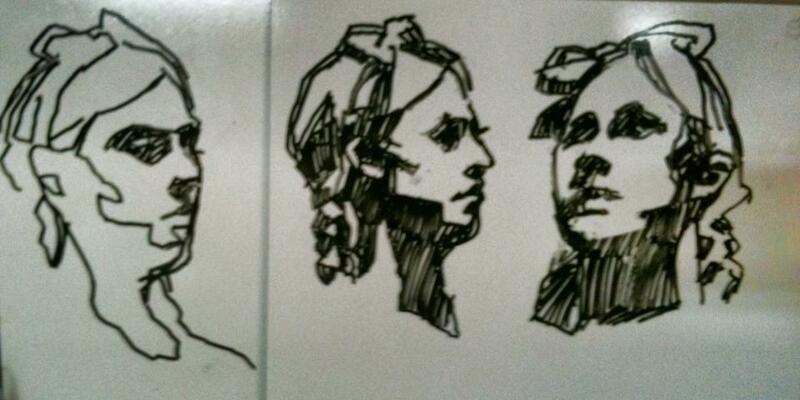 Sweet marker sketches by Peggi Kroll Roberts! I think the students gained a lot from the teaching. 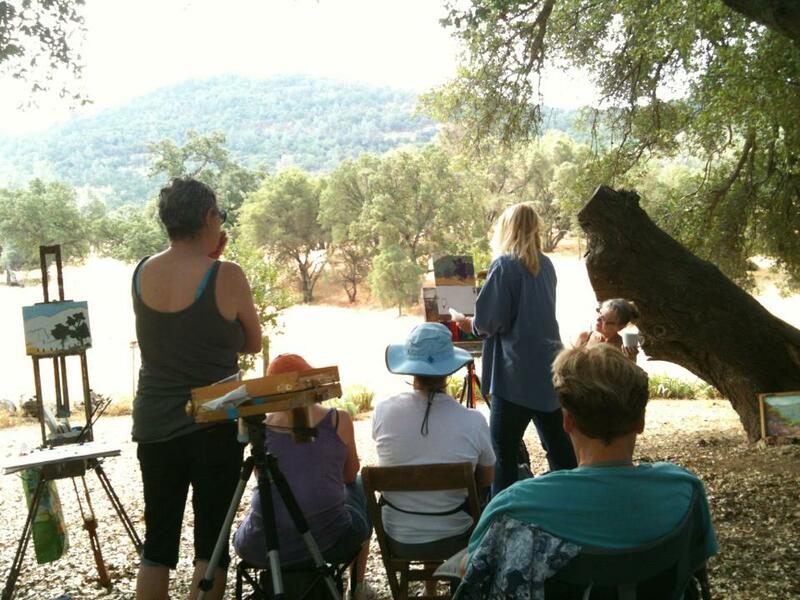 I believe they will be doing it again in 2015 at the end of July, so if you enjoy painting in a lovely setting with some experienced, expert teachers, mark it in your calendars for next year. 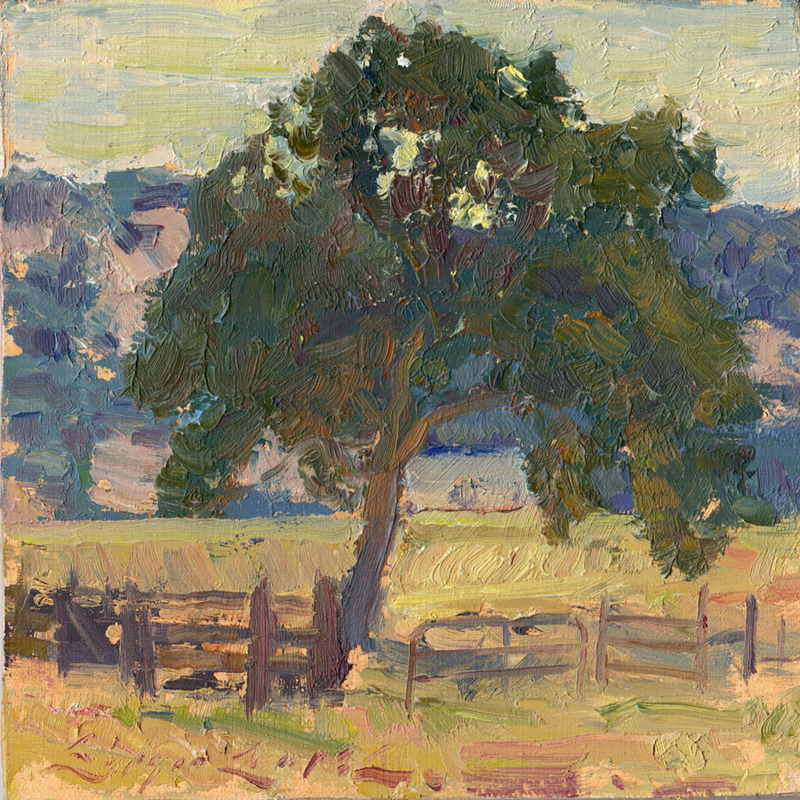 Check out Carole's Plein Air Liaison website and maybe sign up for the mailing list.